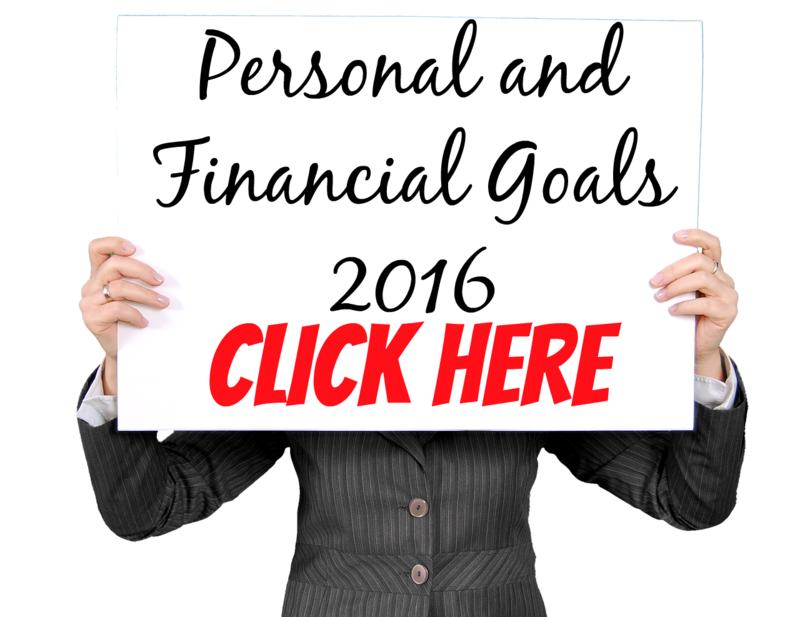 Today we will continue finding ways to earn extra income. This post is meant particularly for bloggers and content creators who are looking for potential passive income online. Google Adsense is a monetizing program from Google where you earn from ads relevant to your content. Whether you are a blogger, website owner or YouTube creator, Google Adsense is a wonderful tool to earn through the traffic you get. 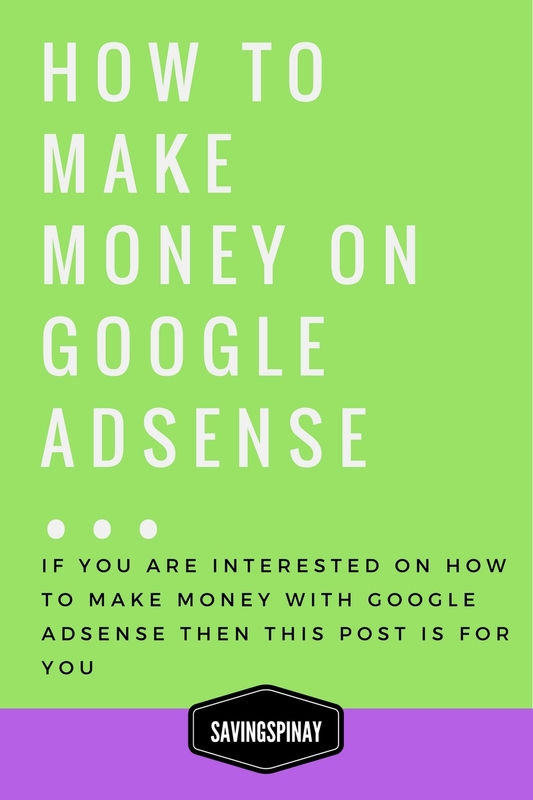 If you are interested on how to make money with Google Adsense then this post is for you. I started my blog in Wordpress in 2013. Back then Wordpress is a very popular platform since it look professional plus they have a lot of beautiful free templates to choose from. After about six months I realized that I can monetize my blog. I read a lot of testimonials from others who have earned extra money through their site. That's when I decided to transfer my whole blog to Blogger. I created a Gmail account (will be better explained later), created IzzaGlino, a personal beauty and lifestyle blog for frugal Pinays and applied for Google Adsense service. It wasn't an easy journey to be honest. For the first month I earned less than a dollar. I switch template to template thus making my ads inactive from time to time. SavingsPinay, a personal finance journey of a common Pinay was born and I'm still stuck on how Google Adsense work. Thankfully the online community is very rich. A simple search here and there led me to helpful tips on how to monetize your blog with Adsense. I even created a YouTube Channel (out of passion of course) to add on my media. How to Start Your Google Adsense Journey too? You can also apply for Google Adsense if you own a YouTube Channel. Its actually easier to earn through videos rather than content but if you are not comfortable then don't. Click here to learn How to Make Money with YouTube or here to learn How to Make Money with a Blog in the Philippines. If you are approved for Google Adsense service in YouTube all your videos as long as it passed the standard are monetized. Google is the one managing what ad will show/pop-up in your videos. For bloggers you will be the one to add ads on your site. Read Click Adsense Program Policies to learn more on the what and what don't work on Google Adsense. Go to the Google Adsense Home Page and sign up. 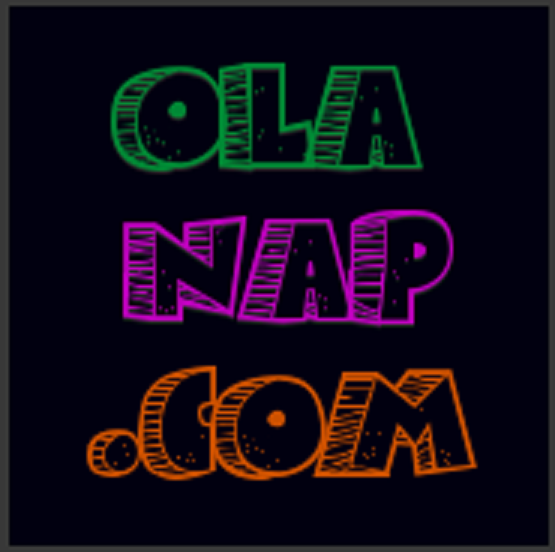 Fill up the online applicatiion with your blog's URL, primary language and answer to the questions from the Google Adsense Program. Contact Information and Payment information or where you will receive the money you earn from your blog or YouTube must also be added. The Google Adsense Pin is sent out to the home address you gave upon application. You will get a letter with a PIN normally 2-3 weeks upon application. The Google Adsense Pin is required to verify your address before payments can be send to you. You have to enter your mailed PIN to you Google Adsense account. If you encounter any problems regarding your Google Adsense PIN CLICK HERE. Google Adsense earned its popularity because its to use. 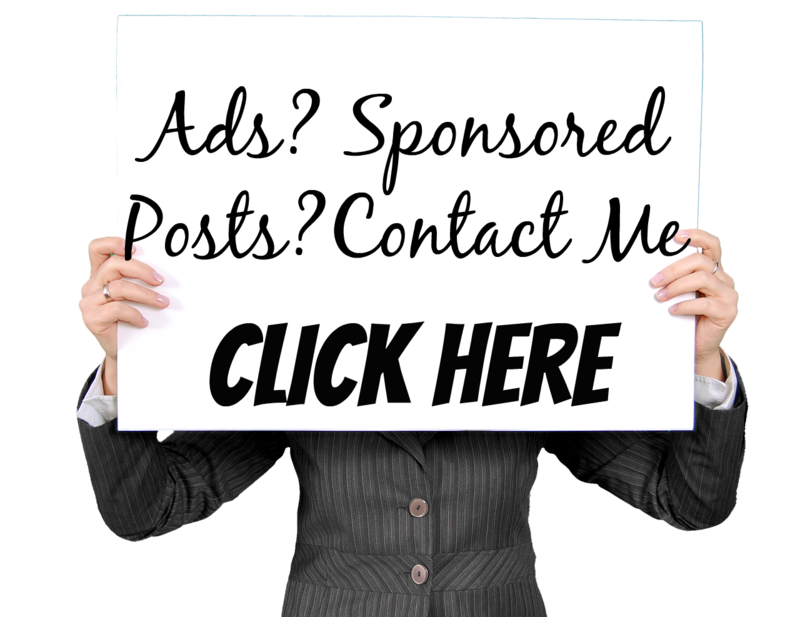 All you have to do is copy and paste the code of your advertisement and just wait for your blog traffic to earn money for you. Ad Placement for Your Blog. The most common place bloggers add their ads are Header, Footer and Side Bar. 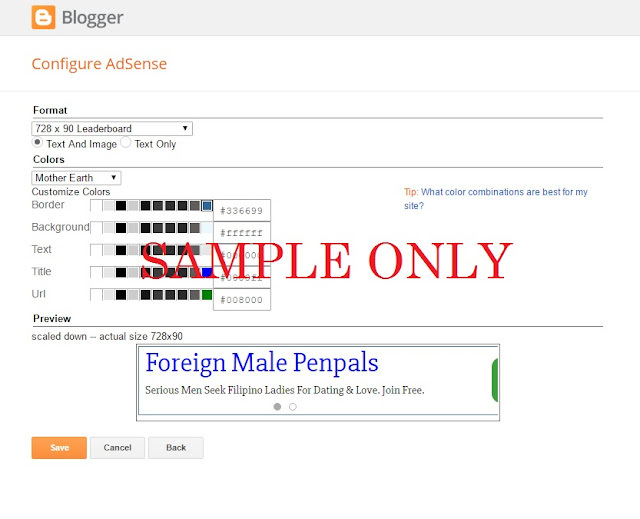 There are also bloggers who manage to add an Adsense ad inside the blog post. For some reason doing this on my blog doesn't work. You can also find themes on the internet that are adsense ready already. Size of Ad for Your Blog. There are different ad size you can choose from that best fit your blog's layout. For my personal beauty and lifestyle blog IzzaGlino, I use the 728x90 on the Header and Footer plus 300x250 on the sidebar. Other common ad size type that generates a lot of income are 300X600 (sidebar) and Auto-Responsive ad. Ad Display for Your Blog. Adsense lets you choose whether to show image, image and text or text only as ads. There is actually a debate on what works best. Some say its Image only others say its Text only. Its best to do some trial and error on what works best for your blog. Activate Adsense Mobile for Your Blog. Since most people are now on their mobile phones make sure that you activate Adsense for mobile. This will enable display of ads that are mobile-friendly. Study your analytics. It would also help big time to get to know your audience and where you traffic is coming from. One advantage of Google Adsense is it gives you an instant access to Google Analytics so you can learn how people respond to your blog. Its very simple to start earning with Google Adsense. 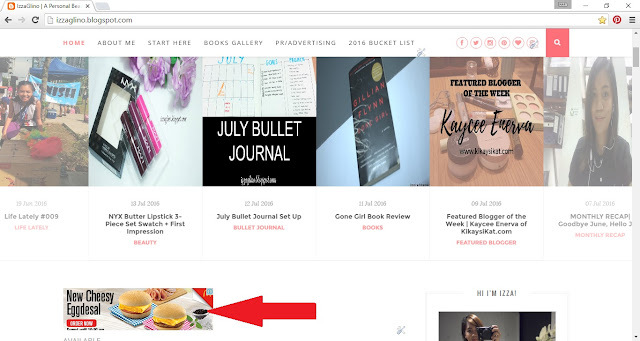 Once you have published enough content and successfully got approved in the progrem you can now add ads on your blog. Select the HTML Text Widget option. 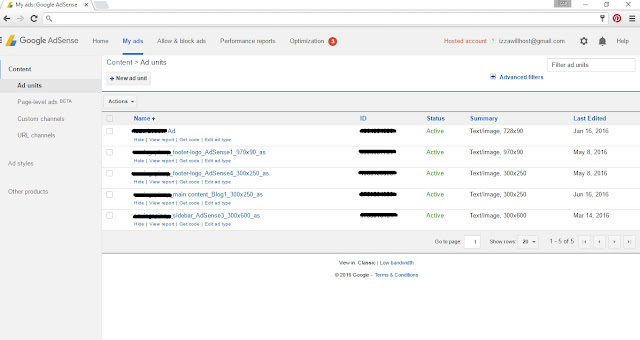 Copy and Paste the HTML Code of your Adsense ad and click Save. Your ad/s won't show instantly so you have to wait for a few hours to review whether you've successfully added an advertisement. You can also check in your Adsense account if the the ad link is already part of your My Ads page. Now I should warn you that only a few may earn enough income through Adsense. There are bloggers, like me, who have been active for years but still haven't reached the payment threshold to receive our pay out. Everything depends on your traffic. So if you want to earn money you need to build your traffic first. Make sure that there are people visiting your blog, noticing your ads and clicking them. Others make $10 a month through Adsense. Some are blessed to earn $100 and more etc. If your content is good and your blog receive a lot of traffic there more earning potential of course. Is Google Adsense Worth It? If you are looking for instant money then Google Adsense is definitely not the one for you. Its super hard to earn via ads that rely on traffic alone. However, if you have own a blog its best to have a Google Adsense so slowly but surely you are generating income. I hope this post help you. Are you using Google Adsense too? How's your experience so far? 2 comments on "How To Make Money on Google Adsense"